One of the best and most efficient mayors of Bucharest. That’s how history remembers Pache Protopopescu, who was mayor of the capital more than 100 years ago. He dedicated his entire mandate to modernizing the city. In just four years, mayor Protopopescu managed to complete many of his projects, laying the foundations for the Romanian capital’s modernization in the last 100 years. Romania celebrates in 2018 a century since the Great Union. He attended prestigious universities in Paris, Brussels, and Geneve, from where he returned to the country with the title of Doctor in Law. Before becoming mayor, he was also a law professor at the Commercial School, prefect of the capital's police, lawyer and a Member of the Parliament. Pache Protopopescu became mayor of Bucharest by royal decree in April 1888, when he was 43 years old. His mandate lasted three years and seven months, until December 1891, a short period during which Protopopescu achieved for the city and its inhabitants what few others have succeeded, through economic and social projects. Street modernization was one of mayor Protopopescu’s main priorities. It meant not only the construction of the main boulevards and new main roads but also of the first sidewalks. 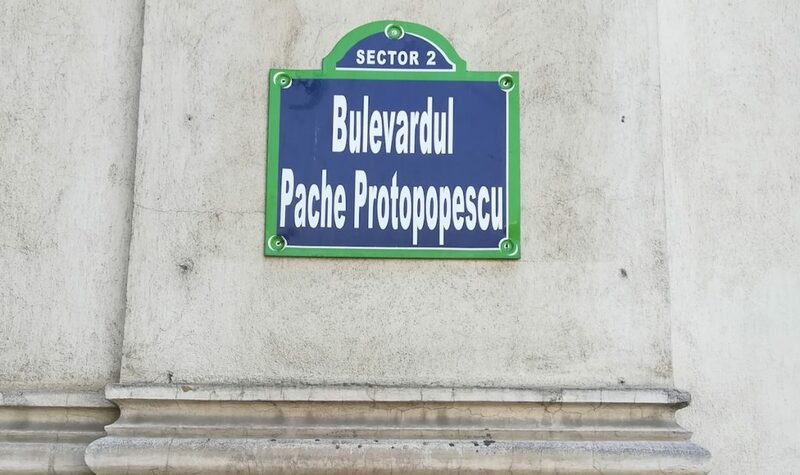 In 1890, his administration managed to complete the extension of the former Orizontului Boulevard, which divided the capital in two and was later renamed Pache Protopopescu at the insistence of mayor Nicolae Filipescu, which took the helm of the city after Protopopescu. Many streets and sidewalks were paved with stones and boulders and were also even illuminated. A boulevard in Bucharest was named after him. The public transport was another priority for mayor Protopopescu, who developed a network of horse-drawn trams and imposed civilized rules for transportation. For example, it was not allowed for the number of passengers to exceed the number of seats on banks or on platforms, those dressed dirty or who were drunk were not allowed to ride the public transport while hanging onto the wagons was strictly forbidden. Pache Protopopescu also implemented several social projects, including a free carriage service for hospital patients and a night center for the poor. Moreover, nearly 30 schools were built in Bucharest during a single year, in 1889, including the now – famous Gheorghe Lazăr high school. Protopopescu was also the one who introduced the first public phones in the capital, as well as the one who set up Cismigiu Park, one of the most famous parks in Bucharest today. Pache Protopopescu died young, at the age of 48, shortly after completing his term as mayor, and was buried at the Bellu Cemetery. He remained known as one of the city's best mayors. The sculptor Ion Georgescu built a monument in his memory in 1903, made of white Carrara marble, but the communist authorities demolished it in 1948 (opening picture). It was located near the Greek Church in Bucharest, in the current Izvorul Rece Park. This park can be found on the boulevard that today bears the name of Pache Protopopescu, located not far from the center of Bucharest.